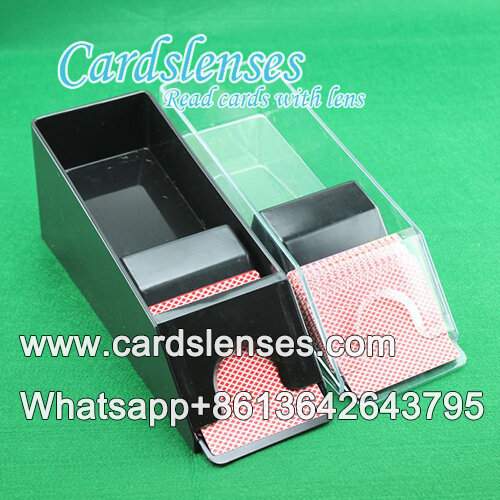 The cards are usually placed inside the Blackjack shoe or poker shuffler when playing Baccarat or Blackjack games, how to make a trick with marked deck with marked cards? 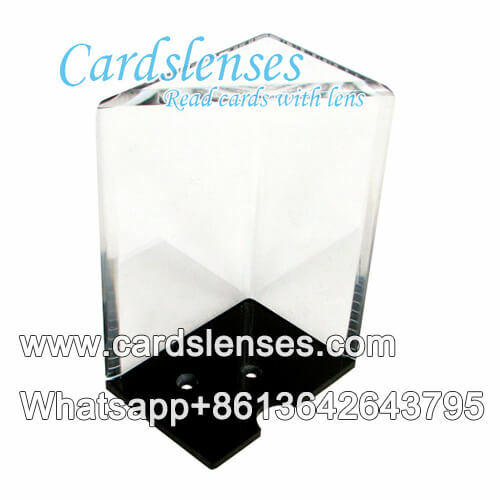 Our unrivaled poker scanners are available. 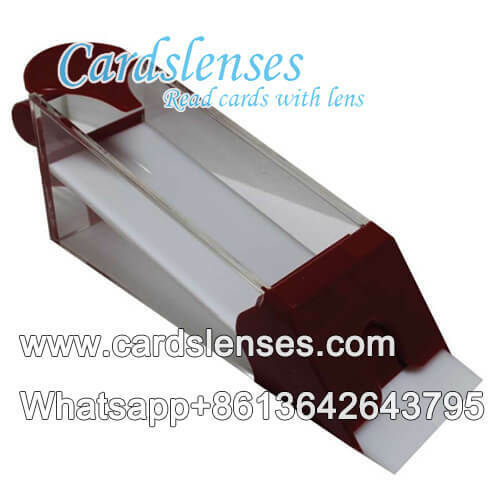 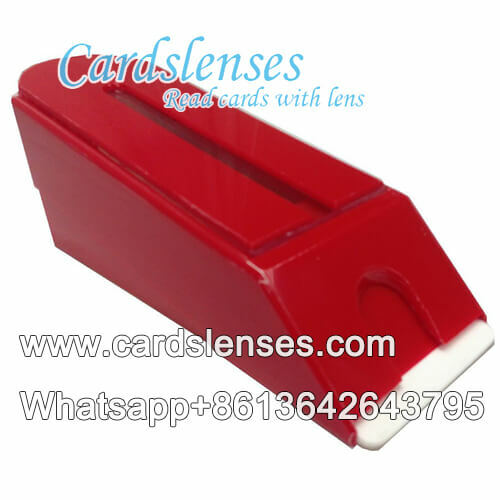 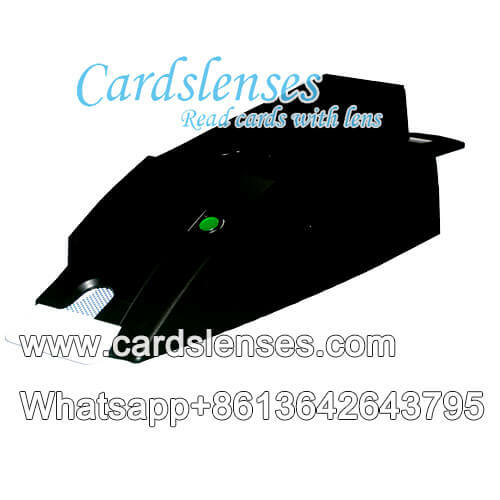 Remote Control Exchanging Cards Blackjack Shoe with secret blackjack Shoe Camera scanner lens inside for reading normal playing cards and show the information on displayer secretly. 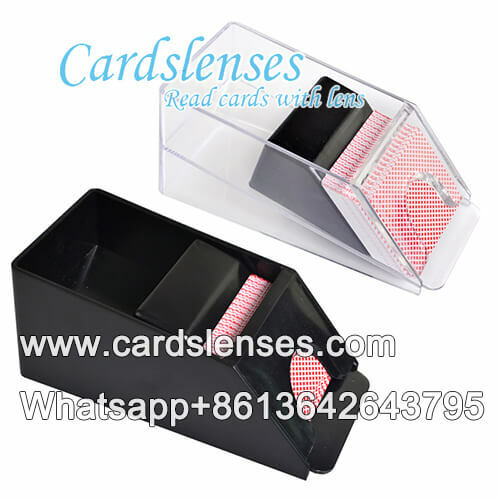 Furthermore, cooperate with Printed Barcode Marked Cards Blackjack Shoe, they will let you know the best winner beforehand, by which you are unbeatable.